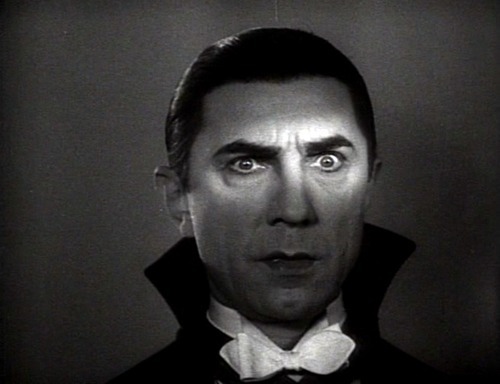 That's right, this month Horror legend, Bela Lugosi, is my icon of the month. Lugosi, the youngest of four children, was born as Béla Ferenc Dezső Blaskó in Lugos (at the time part of Austria–Hungary, now Lugoj in Romania), to Paula de Vojnich and István Blaskó, a banker. He later based his last name on his hometown. He and his sister Vilma were raised in a Roman Catholic family. At the age of 12, Lugosi dropped out of school. He began his acting career probably in 1901, his earliest known performances are from provincial theatres in the 1903–1904 season, playing small roles in several plays and operettas. He went on to Shakespeare plays and other major roles. Moving to Budapest in 1911, he played dozens of roles with the National Theatre of Hungary in the period 1913–1919. 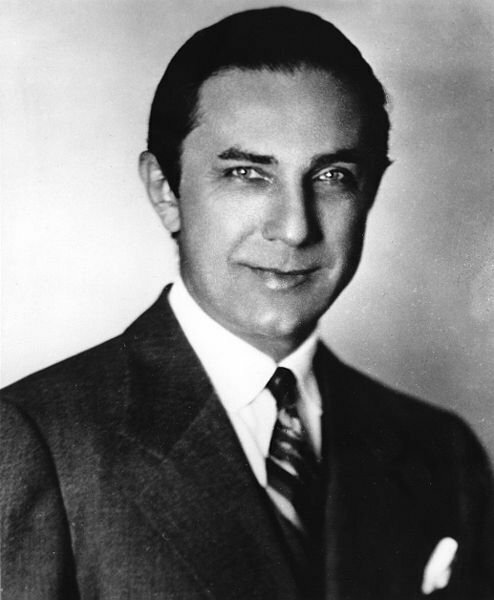 Although Lugosi would later claim that he "became the leading actor of Hungary's Royal National Theatre", almost all his roles there were small or supporting parts. During World War I, he served as an infantry lieutenant in the Austro-Hungarian Army from 1914 to 1916. There he rose to the rank of captain in the ski patrol and was awarded a medal for being wounded at the Russian front. Due to his activism in the actors' union in Hungary during the time of the Hungarian Revolution of 1919, he was forced to flee his homeland. He first went to Vienna, Austria, and then settled in Berlin, Germany, in the Langestrasse where he continued acting. Eventually, he travelled to New Orleans, Louisiana, United States as a crewman aboard a merchant ship. Lugosi's first film appearance was in the 1917 movie "Az ezredes" (known in English as "The Colonel"). When appearing in Hungarian silent films he used the stage name 'Arisztid Olt'. Lugosi made 12 films in Hungary between 1917 and 1918 before leaving for Germany. Following the collapse of Béla Kun's Hungarian Soviet Republic in 1919, leftists and trade unionists became vulnerable. Lugosi was proscribed from acting due to his participation in the formation of an actors’ union. In exile in Germany, he began appearing in a small number of well received films, including adaptations of the Karl May novels, "Auf den Trümmern des Paradieses" ("On the Brink of Paradise"), and "Die Todeskarawane" ("The Caravan of Death"), opposite the ill-fated Jewish actress Dora Gerson. Lugosi left Germany in October 1920, intending to emigrate to the United States, and entered the country at New Orleans in December 1920. He made his way to New York and was legally inspected for immigration at Ellis Island in March 1921. He declared his intention to become a U.S. citizen in 1928, and on June 26, 1931, he was naturalized. On his arrival in America, the 6 foot 1 inch (1.85 m), 180 lb. (82 kg) Béla worked for some time as a laborer, then entered the theater in New York City's Hungarian immigrant colony. With fellow Hungarian actors he formed a small stock company that toured Eastern cities, playing for immigrant audiences. He acted in his first Broadway play, "The Red Poppy", in 1922. Three more parts came in 1925–1926, including a five-month run in the comedy-fantasy "The Devil in the Cheese". His first American film role came in the 1923 melodrama "The Silent Command". Several more silent roles followed, as villains or continental types, all in productions made in the New York area. 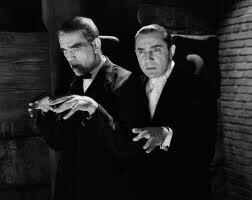 Lugosi was approached in the summer of 1927 to star in a Broadway production of "Dracula" adapted by Hamilton Deane and John L. Balderston from Bram Stoker's novel. The Horace Liveright production was successful, running 261 performances before touring. He was soon called to Hollywood for character parts in early talkies. In 1929, he married a wealthy San Francisco widow named Beatrice Weeks, a union which lasted all of three days; their divorce named Clara Bow as the "other woman", it was a media sensation and launched him into national notoriety. Despite his critically acclaimed performance on stage, Lugosi was not Universal Pictures’ first choice for the role of "Dracula" when the company optioned the rights to the Deane play and began production in 1930. A persistent rumor asserts that director Tod Browning's long-time collaborator, Lon Chaney, was Universal's first choice for the role, and that Lugosi was chosen only due to Chaney's death shortly before production. This is questionable, because Chaney had been under long-term contract to Metro-Goldwyn-Mayer since 1925, and had negotiated a lucrative new contract just before his death. Chaney and Browning had worked together on several projects (including four of Chaney's final five releases), but Browning was only a last-minute choice to direct the movie version of "Dracula" after the death of director Paul Leni, who was originally slated to direct. His performance in "Dracula " created such a sensation that he reportedly received more fan mail from females than even Clark Gable. Through his association with "Dracula" (in which he appeared with minimal makeup, using his natural, heavily accented voice), Lugosi found himself typecast as a horror villain in such movies as "Murders in the Rue Morgue", "The Raven", and "Son of Frankenstein" for Universal, and the independent "White Zombie". His accent, while a part of his image, limited the roles he could play. Lugosi did attempt to break type by auditioning for other roles. He lost out to Lionel Barrymore for the role of Rasputin in "Rasputin and the Empress"; C. Henry Gordon for the role of Surat Khan in "Charge of the Light Brigade"; Basil Rathbone for the role of Commissar Dimitri Gorotchenko in "Tovarich" (a role Lugosi had played on stage). He did play the elegant, somewhat hot-tempered Gen. Nicholas Strenovsky-Petronovich in "International House." Regardless of controversy, five films at Universal, "The Black Cat", "The Raven", "The Invisible Ray", "Son of Frankenstein", "Black Friday" (plus minor cameo performances in 1934's "Gift of Gab") and two at RKO Pictures, "You'll Find Out" and "The Body Snatcher", paired Lugosi with Boris Karloff. Despite the relative size of their roles, Lugosi inevitably got second billing, below Karloff. Lugosi's attitude toward Karloff is the subject of contradictory reports, some claiming that he was openly resentful of Karloff's long-term success and ability to get good roles beyond the horror arena, while others suggested the two actors were, for a time at least, good friends. 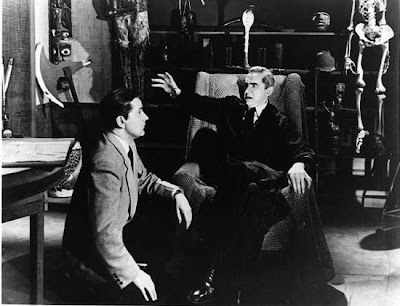 Karloff himself in interviews suggested that Lugosi was initially mistrustful of him when they acted together, believing that the Englishman would attempt to upstage him. When this proved not to be the case, according to Karloff, Lugosi settled down and they worked together amicably (though some have further commented that Karloff's on-set demand to break from filming for mid-afternoon tea annoyed Lugosi). Universal tried to give Lugosi more heroic roles, as in "The Black Cat", "The Invisible Ray", and a romantic role in the adventure serial "The Return of Chandu", but his typecasting problem was too entrenched for those roles to help. Lugosi addressed his plea to be cast in non-horror roles directly to casting directors through his listing in the 1937 Players Directory, published by the Motion Picture Academy, in which he (or his agent) calls the idea that he is only fit for horror films "an error." A number of factors worked against Lugosi's career in the mid-1930s. Universal changed management in 1936, and because of a British ban on horror films, dropped them from their production schedule; Lugosi found himself consigned to Universal's non-horror B-film unit, at times in small roles where he was obviously used for "name value" only. Throughout the 1930s, Lugosi, experiencing a severe career decline despite popularity with audiences (Universal executives always preferred his rival Karloff), accepted many leading roles from independent producers like Nat Levine, Sol Lesser, and Sam Katzman. These low-budget thrillers indicate that Lugosi was less discriminating than Karloff in selecting screen vehicles, but the exposure helped Lugosi financially if not artistically. Lugosi tried to keep busy with stage work, but had to borrow money from the Actors' Fund to pay hospital bills when his only child, Bela George Lugosi, was born in 1938. His career was given a second chance by Universal's "Son of Frankenstein" in 1939, when he played the character role of Ygor, who uses the Monster for his own revenge, in heavy makeup and beard. The same year saw Lugosi playing a straight character role in a major motion picture: he was a stern commissar in MGM's comedy "Ninotchka", starring Greta Garbo. This small but prestigious role could have been a turning point for the actor, but within the year he was back on Hollywood's Poverty Row, playing leads for Sam Katzman. These horror, comedy and mystery B-films were released by Monogram Pictures. At Universal, he often received star billing for what amounted to a supporting part. "The Gorilla" (1939) had him playing straight man to Patsy Kelly, in a role she told author Boze Hadleigh was her finest role. Ostensibly due to injuries received during military service, Lugosi developed severe, chronic sciatica. Though at first he was treated with pain remedies such as asparagus juice, doctors increased the medication to opiates. The growth of his dependence on pain-killers, particularly morphine and methadone, was directly proportional to the dwindling of screen offers. In 1943, he finally played the role of Frankenstein's monster in Universal's "Frankenstein Meets the Wolfman", which this time contained dialogue (Lugosi's voice had been dubbed over that of Lon Chaney, Jr., from line readings at the end of 1942's "The Ghost of Frankenstein" because Ygor's brain had been transplanted into the Monster). Lugosi continued to play the Monster with Ygor's consciousness but with groping gestures because the Monster was now blind. Ultimately, all of the Monster's dialogue and all references to his sightlessness were edited out of the released film, leaving a strange, maimed performance characterized by unexplained gestures and lip movements with no words coming out. He also came to recreate the role of Dracula a second and last time on film in "Abbott and Costello Meet Frankenstein" in 1948. By this time, Lugosi's drug use was so notorious that the producers were not even aware that Lugosi was still alive, and had penciled in actor Ian Keith for the role. 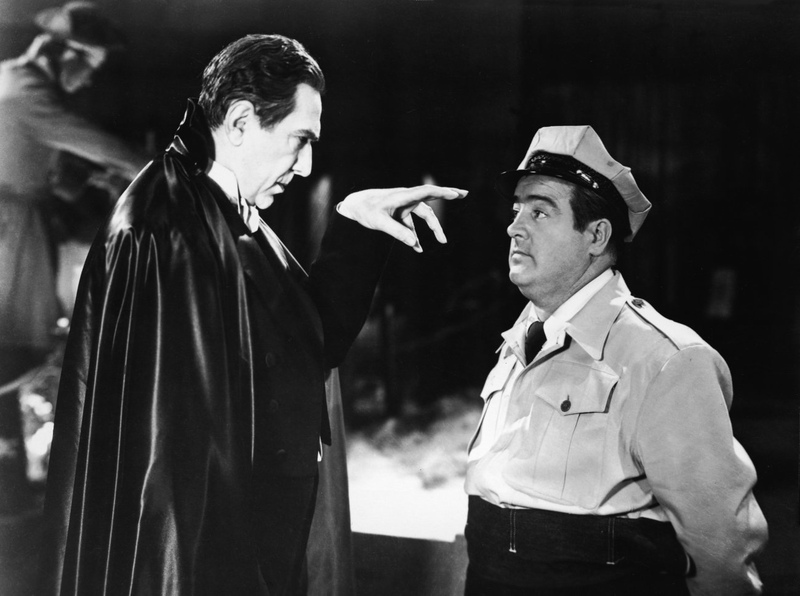 "Abbott and Costello Meet Frankenstein" was Bela Lugosi's last "A" movie. For the remainder of his life he appeared, less and less frequently, in obscure, low-budget features. From 1947 to 1950, he performed in summer stock, often in productions of "Dracula" or "Arsenic and Old Lace", and during the rest of the year made personal appearances in a touring "spook show" and on television. While in England to play a six-month tour of "Dracula" in 1951, he co-starred in a lowbrow movie comedy, "Mother Riley Meets the Vampire" (also known as "Vampire over London" and "My Son, the Vampire"). Upon his return to America, Lugosi was interviewed for television, and revealed his ambition to play more comedy, though wistfully noting, "Now I am the boogie man." Independent producer Jack Broder took Lugosi at his word, casting him in a jungle-themed comedy, "Bela Lugosi Meets a Brooklyn Gorilla". Another opportunity for comedy came in September 1949 when Milton Berle invited Lugosi to appear in a sketch on Texaco Star Theater. Lugosi memorized the script for the skit, but became confused on the air when Berle began to ad lib. His only television dramatic role was on the anthology series "Suspense" on October 11, 1949 in the episode "The Cask of Amontillado". Late in his life, Bela Lugosi again received star billing in movies when filmmaker Ed Wood, a fan of Lugosi, found him living in obscurity and near-poverty and offered him roles in his films, such as an anonymous narrator in "Glen or Glenda" and a Dr. Frankenstein-like mad scientist in "Bride of the Monster". During post-production of the latter, Lugosi decided to seek treatment for his drug addiction, and the premiere of the film was said to be intended to help pay for his hospital expenses. According to Kitty Kelley's biography of Frank Sinatra, when the entertainer heard of Lugosi's problems, he helped with expenses and visited at the hospital. Lugosi would recall his amazement, since he did not even know Sinatra. During an impromptu interview upon his exit from the treatment center in 1955, Lugosi stated that he was about to go to work on a new Ed Wood film, "The Ghoul Goes West". This was one of several projects proposed by Wood, including "The Phantom Ghoul" and "Dr. Acula". With Lugosi in his famed Dracula cape, Wood shot impromptu test footage, with no storyline in mind, in front of Tor Johnson's home, a suburban graveyard and in front of Lugosi's apartment building on Carlton Way. This footage ended up in "Plan 9 from Outer Space", which was mostly filmed after Lugosi's death. Wood hired Tom Mason, his wife's chiropractor, to double for Lugosi in additional shots. Mason is thinner than Lugosi, and in every shot covers the lower half of his face with his cape, as Lugosi sometimes did in "Abbott & Costello Meet Frankenstein." Following his treatment, Lugosi made one final film, in late 1955, "The Black Sleep", for Bel-Air Pictures, which was released in the summer of 1956 through United Artists with a promotional campaign that included several personal appearances. To his disappointment, however, his role in this film was of a mute, with no dialogue. Lugosi died of a heart attack on August 16, 1956, while lying on a couch in his Los Angeles home. He was 73. The rumor that Lugosi was clutching the script for "The Final Curtain", a planned Ed Wood project, at the time of his death is not true. Lugosi was buried wearing one of the Dracula Cape costumes, per the request of his son and fourth wife, in the Holy Cross Cemetery in Culver City, California. Contrary to popular belief, Lugosi never requested to be buried in his cloak; Bela G. Lugosi confirmed on numerous occasions that he and his mother, Lillian, actually made the decision but believed that it is what his father would have wanted. Frank Sinatra paid for the Funeral. Accoding to biographer Robert Cremer Lugosi was not only the finest party host among Hugarian members of the Hollywood community but also an inveterate practical joker. When other expatriates like Joe Pasternak, Iloma Massey, Michael Curtiz, Willy Pogany, and Michael Curtiz were guests, he would hire comic actor Vince Barnett to play the part of a clumsy waiter spilling drinks and dropping plates of hors d'oeuvres, resulting in near misses for the guests to Lugosi's delight. A statue of Lugosi can be seen today on one of the corners of the Vajdahunyad Castle in Budapest.